Perhaps you can recall as a child kneeling at the side of your bed, hands folded, a parent gently coaching you to prayer. “Now I lay me down to sleep…” As we grew and developed a sense of spiritual identity, it was comfortable to know there was a ‘father’ who watched over us, who would protect us, who would save us. But what now? When we are becoming ever increasingly aware that there is no separation between ourselves and the presence of God? As a result of our perception we feel a loss, a void. 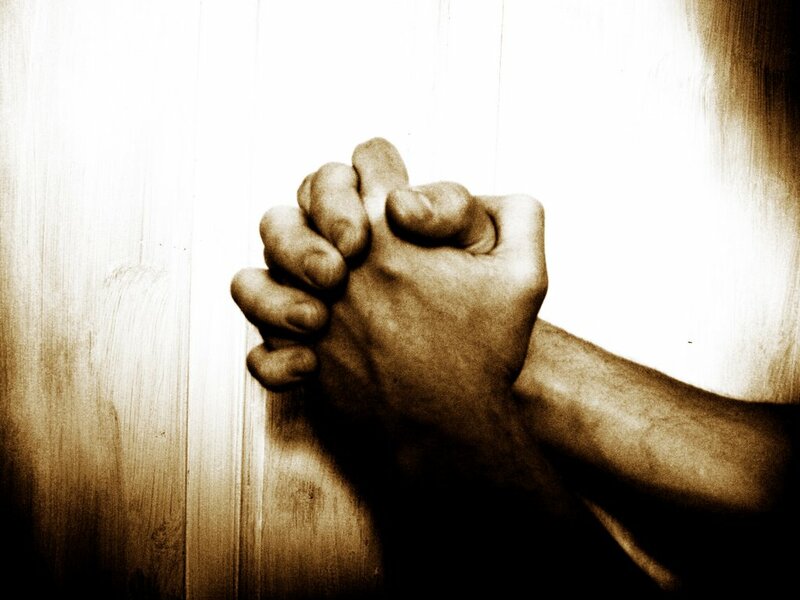 To whom do we now pray? Is prayer talking to ourselves? If not to whom, that elusive higher self? Or perhaps the soul? And what of these guides? Or loved ones who have transitioned? The old rote safe prayers no longer offer comfort. Yet, Jesus, acutely aware of his intimate connection to the divine declared, “Our Father.” He would often separate himself from the throngs that sought him and even from his followers, to go off and pray. To whom did he pray if he himself was God? A key to understanding prayer is to understand the interaction between the archetypical concepts of the Father, Son, and Holy Spirit. Their relationship in physical form is an example of how one should interact consciously with the divinity within themselves. Perhaps prayer is not so much one talking to themselves because they are divine, in fact that is the reverse truth of reality. You are divine and, therefore, physical. So prayer is divinity speaking to itself. What does that mean? How does divinity speak to itself? Why would it? Does it need to? On the deepest levels of consciousness, every being in every species in every kingdom and in this universe is deeply and completely aware of their divine identity. Yet, in the physical plane of existence, there is a separation in consciousness of one’s awareness of their true self. The divine in each being continually speaks to itself. Yet one’s consciousness can speak otherwise. So prayer is one’s consciousness tuning into the communication that already exists between the aspects of yourself: The One Mind, The One Thought and The One Soul which is the divine expression of your consciousness. Prayer becomes the conduit which allows that which truly exists into that which is only an illusion; so, all things might be in alignment. There is another aspect to prayer and that is connecting to the multiple expressions of oneself. For the mystery of oneness is that it expresses in multiple forms without creating separation. It is a concept difficult to comprehend in your current third dimensional state. So when you call upon a guide, when you call upon a loved one who is deceased, you are calling upon those aspects of yourself to be in assistance to yourself, to communicate and identify with the divine truth of your being. Your brother, Jesus, was very clear that one does not need to beg or plead when one prays. Simply ask and you will find. Prayer is the words that fill the melody of the consciousness of God.